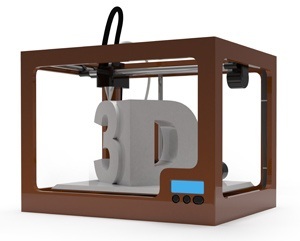 3D printing is fast becoming an essential part of the manufacturing process. 3D printers (a.k.a. additive manufacturing) work by building tiny layers of plastic on top of each other to make a three-dimensional object. Using the latest 3D printing technology users can print items such as a mobile phone case in just half an hour, while more complicated items such as jewelry require several hours for full rendering. 3D printers recently provoked an outcry in the United States after a student successfully built a functioning gun with the printer and later posted the designs on the Internet. A 3D printer is about the same size as a normal printer, though consumables are considerably more expensive to replace than ink cartridges.